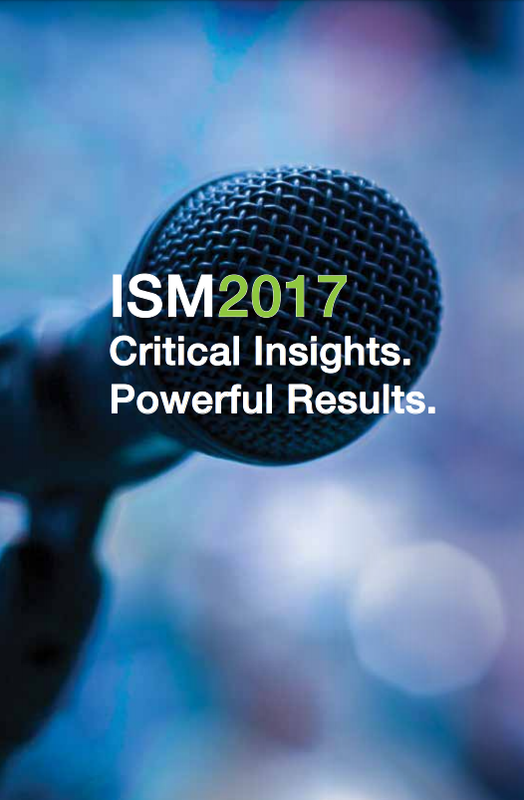 Learn from the best at ISM2017, and take home actionable ideas, standards and best practices for you career and your company. Scores of specialized sessions will help attendees meet some of the toughest global supply challenges. Follow specialized learning tracks and attend major Signature Sessions – while interacting with supply management pros that are on the leading edge of global supply management. David Cameron - Former Prime Minister of the United Kingdom on today's GEOPOLITICAL events & what they mean to you. General Colin L. Powell, USA (RET) - Former Chairman of the Joint Chiefs of Staff on the ultimate supply and logistics challenge: armed conflict.